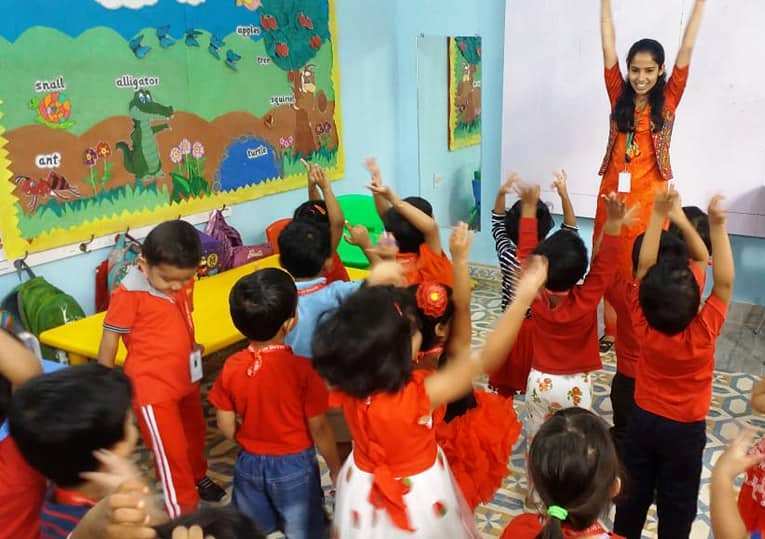 They introduce children to rhythm and movement. Songs are often tied into the theme or lesson and dance movements and actions are incorporated to add rhythm into the song. The Kinesthetic activity adds memory ingrains to the life skills and concepts taught in class. Cultural events, festivals and the related assemblies also offer opportunities to introduce children to songs and movements in folk art forms, regional languages and exploring beyond curricular needs.